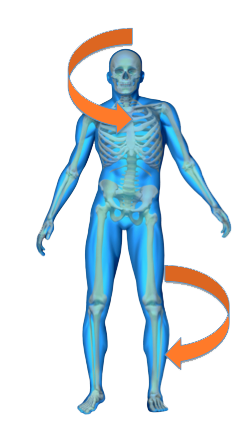 Pelvic Displacement Syndrome (PDS) is a very common but relatively unknown syndrome in which one side of the pelvis is displaced from the other side of the pelvis creating a pelvic imbalance with significant leg length discrepancy. 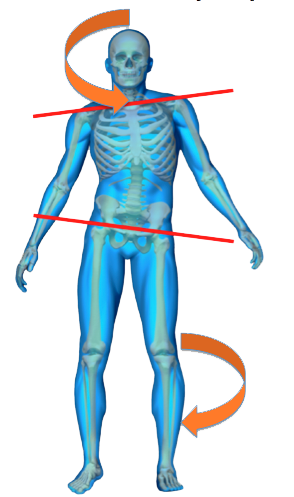 Pelvic displacement can also cause a helical pelvic rotation emanating from the pelvis upward in the spine and an opposite downward rotation through the legs resulting in many collateral issues from the bottom of the feet to the sub-occipital muscles. Anterior displacement (rotation) of either the left of right side of the pelvis.